If you wish to relax and enjoy your holidays in a quiet and serene surrounding area, then Palace Hotel is just the place for you. The Hotel has an outdoor swimming pool where you can swim and enjoy the sun away from the crowds. The pool bar is serving light snacks, coffees and beverages all day long. The cozy lounge offers a large screen TV with the latest movies. At the hotel’s mini market you will find almost everything to satisfy your everyday needs. The hospitable and family atmosphere of Pallas Hotel will make your stay here memorable. 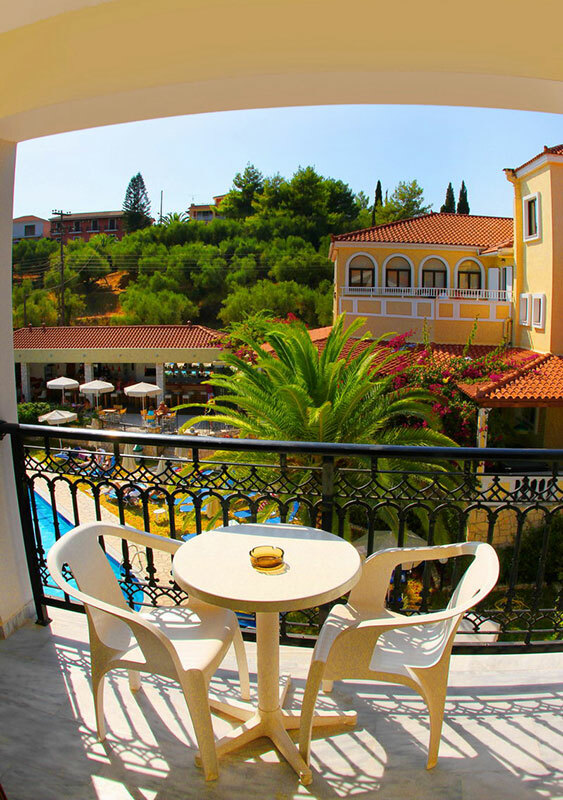 The hotel management and staff are always at your disposal offering any information or help needed concerning your stay or transfers around Zante island. Hotel Pallas is waiting to welcome you from May to October. Weekly barbecue nights are also organized.